Video Games Live creator Tommy Tallarico discusses past expenses and why he turned to Kickstarter. A few days ago Video Games Live, the concert company that blends game soundtracks with professional symphonies, launched a Kickstarter campaign to fund the production of its third album, Level 3. Considering the fact it was able to produce and release its first two albums sans crowdsourcing, many likely wondered why it needs help now. To its credit its Kickstarter page acknowledged these concerns and offered explanations that partially cited the apathy of record companies toward game music. Speaking to The Escapist, Video Games Live creator and CEO Tommy Tallarico offered some further insight into why he and his company decided to turn to Kickstarter. "Kickstarter is a way to really give back to our supporters," he said. "Being able to offer someone quadruple value for their money is really special and something that a lot of people are excited to take advantage of." Aside from the ability to reward fans for their support Tallarico reiterated how the music industry, in part, had necessitated the current crowdfunding campaign. "Record companies just don't think gamers are willing to pay for music anymore," he said. "I disagree and will take great pleasure in publicly proving them wrong." Aside from the joys of rebuffing the music industry, Tallarico discussed some of the costs of his company's previous recording ventures. "We self funded 75 percent of the PBS Special and our last album, Blu-Ray/DVD. The returns still haven't covered our initial investment ($750,000)," he said. "[Video Games Live] has never been about making money for me. Every cent goes directly back into the show and I've never taken profit from the company." 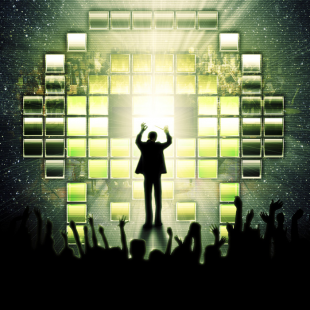 The expenses being covered by Video Games Live's Kickstarter, in turn, will include a 72 piece orchestra, 60+ persona choir, and a "rock band" made up of world famous game composers. The choir alone should cost around $20,000. It doesn't take long after that, when you throw in the salaries of the other musicians along with other production expenses, to reach the $275,000 goal the campaign is shooting for. A goal that currently looks well within the project's reach. With 28 days currently left in its campaign, Level 3 has already reached nearly $80,000 of its $250,000 goal.